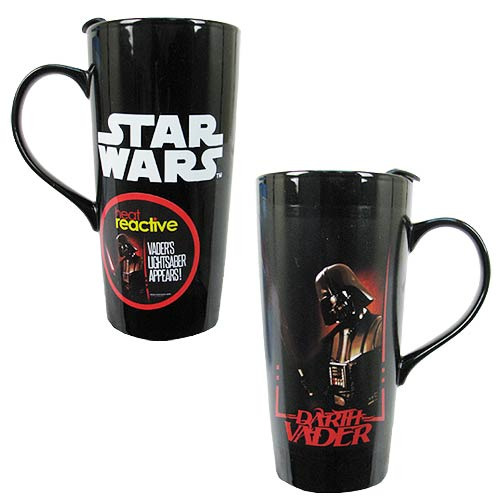 Darth Vader helps you carry around your hot beverage! This Star Wars Darth Vader 20 oz. Heat Change Ceramic Travel Mug features a cool image of Darth Vader along with awesome heat change effects. When you add hot liquid, Darth Vader's lightsaber becomes visible! It's a great gift for Star Wars fans. Holds up to 20 ounces of liquid. Hand wash only. Not dishwasher safe. Do not microwave. Ages 12 and up.